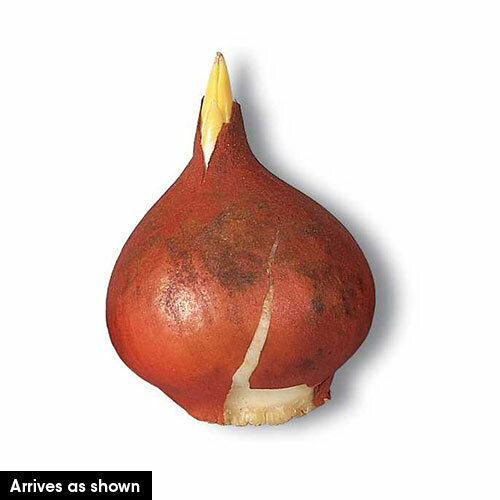 Stylish form with a superb colouration! 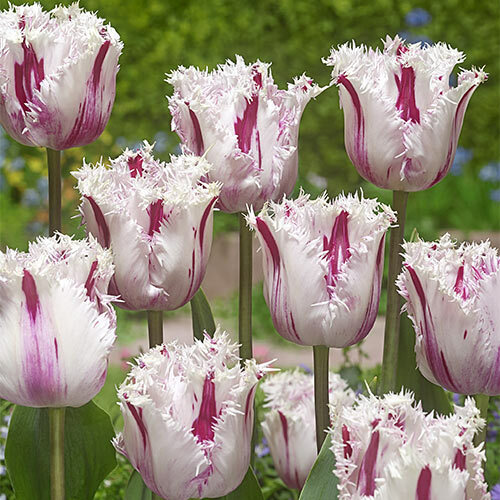 Like its musical namesake, this unique tulip makes a harmonious addition to late-spring gardens or arrangements. Lush blooms of white are streaked with red in a lovely "broken-colour" pattern. The supple petals are edged in a heavy, deep fringe that creates a wonderfully stylized look in borders and bouquets. Coldplay is a To get the best results, plant in a well-drained site and you'll be blessed with plenty of healthy plants come spring, each one bearing showstopping flowers sure to turn heads. Its moderate height makes Coldplay a superb cut-flower variety and a good choice for border plantings.